"The people who have been in charge of the choral groups understand legacy." While many vocal ensembles at USC Thornton have undergone significant restructuring or have disbanded over time, the USC Thornton Chamber Singers have remained a constant presence at the school since first forming in 1939. 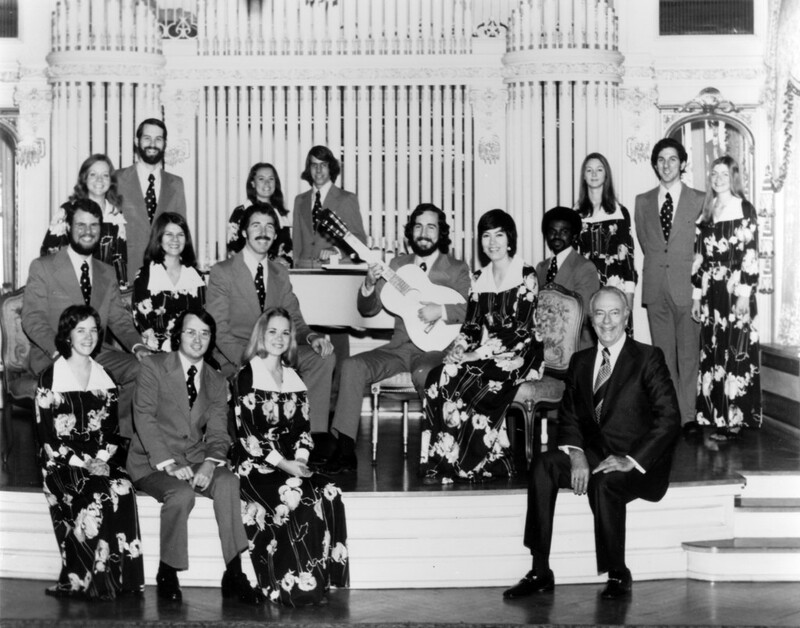 Initially called the ‘Madrigal Singers,’ the group was first directed by Max T. Krone — a professor of music education, composition and choral music, as well as the dean of USC’s former Institute of the Arts, which housed the university’s music programs from 1946 until 1951. In 1942, Krone brought Dr. Charles C. Hirt, then the director of the Glendale High School choirs and a USC alumnus, to the school as both a lecturer and as Director of Choral Organizations. Hirt later established and became chair of the Choral and Sacred Music department. In 1956, the Chamber Singers adopted its current name in a move designed to better reflect the group’s repertoire. 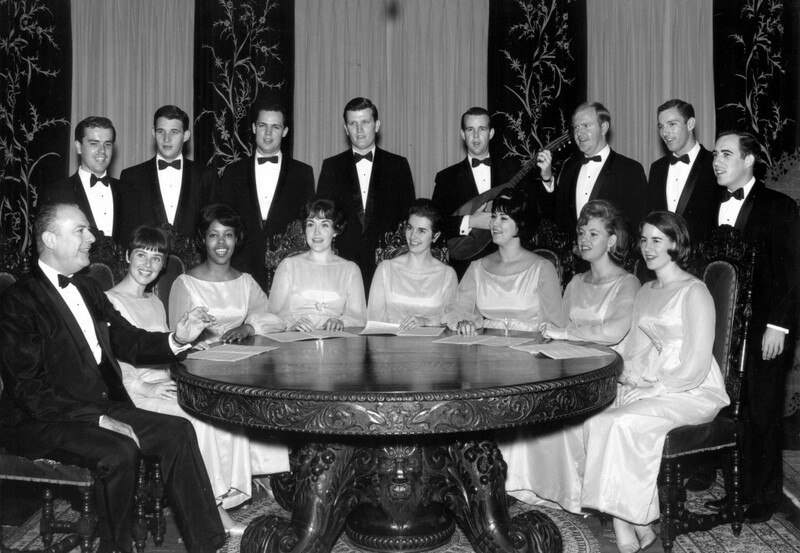 USC Chamber Singers, 1965-1966 academic year. Under the direction of Hirt, the Chamber Singers – as well as the Choral and Sacred Music programs – flourished, and the group’s international acclaim positioned the Chamber Singers to serve as ambassadors for both USC Thornton and the University at-large. Hirt and the group toured internationally, even participating in a USO Tour in the mid-1960s and performing in a variety of choral conferences nationwide. The current iteration of the Chamber Singers will continue the group’s longstanding legacy of international performance with an Asian tour, scheduled for Summer 2014. The group will first perform at the China International Chorus Festival in Beijing, which runs from July 29 until August 4. The Chamber Singers will represent North America at the event, and were the only choir from the continent invited to perform. From Beijing, the Chamber Singers will travel to Seoul, South Korea to participate in the World Choral Symposium – an international congress of choral music held every three years. The group is just one of 24 invited ensembles performing at the conference. Before traveling to Asia, however, the Chamber Singers will perform several events throughout Los Angeles to close out the end of the school year. The first performance will take place on March 28 at St. Matthew’s Episcopal Parish in Pacific Palisades, followed by an on-campus performance in April and another off-campus performance in May. A full list of these upcoming USC Chamber Singers events can be found below. Friday, March 28, 8:00 p.m.
Sunday, May 11, 4:00 p.m.